September 21, 2016 09:00 ET | Source: ForeScout Technologies, Inc.
SAN JOSE, CA--(Marketwired - Sep 21, 2016) - ForeScout Technologies, Inc., a pioneer in agentless cybersecurity, today announced the appointment of James Beer to its Board of Directors, effective immediately. 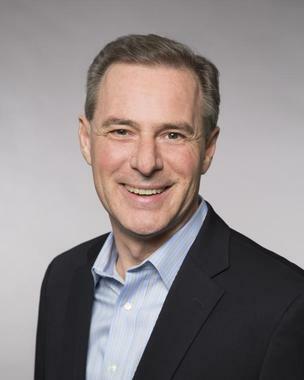 Beer currently serves as Executive Vice President and Chief Financial Officer of McKesson Corporation, which is ranked fifth on the Fortune 500 and is the largest U.S. healthcare services and information technology company. Prior to joining McKesson, Beer served as Executive Vice President and Chief Financial Officer of Symantec Corp. and as Chief Financial Officer of AMR Corp. and American Airlines. "James' 30 plus years of in-depth global business and financial experience working in highly regulated industries will add invaluable perspective to our Board of Directors, a group comprised of carefully selected and highly successful executives," said Michael DeCesare, President and CEO of ForeScout. "James' counsel will help us accelerate the growth of the business and to continue protecting our customers against advanced threats." "The proliferation of traditional and Internet of Things (IoT) devices in the enterprise has created an attractive opportunity for ForeScout to shape the market, and the company is well positioned to emerge as an industry leader in cybersecurity," said Beer. "I look forward to contributing to ForeScout's success and applying my financial counsel and experience by serving on its Board." Beer currently sits on the Board of Celesio AG, a leading European pharmaceutical distributor and retailer, and is a member of the Federal Reserve Bank of San Francisco's Economic Advisory Council. He holds a bachelor's degree in aeronautical engineering from Imperial College, London University, and a master's degree in business administration from Harvard Business School. ForeScout Technologies, Inc., transforming security through visibility. ForeScout, offers Global 2000 enterprises and government organizations the unique ability to see devices, including non-traditional devices, the instant they connect to a network. Equally important, ForeScout lets customers control these devices and orchestrate information sharing and operation among disparate security tools to accelerate incident response. Unlike traditional security alternatives, ForeScout achieves this without requiring software agents or previous device knowledge. The company's solutions integrate with leading network, security, mobility and IT management products to overcome security silos, automate workflows and enable significant cost savings. As of January 2016, more than 2,000 customers in over 60 countries improve their network security and compliance posture with ForeScout solutions. Learn more at www.forescout.com.